The word perfect carries the idea of being full grown, mature. The essence of it is that both knowing and doing the will of God matures us spiritually. If one doesn’t do God’s will, it will stunt their spiritual growth. I grow by doing God’s will. In God’s will we see the power of God, the provision of God, and the protection of God. We grow as we go and see all that God is doing. One Sunday in Copenhagen, Corrie ten Boom, eighty, spoke from Romans 12:1-2, urging her audience to present their bodies to Christ as living sacrifices. After church two young nurses invited her to their apartment for lunch, and Corrie went with them – only to discover they lived on the tenth floor, and there was no elevator. She didn’t think she could mount the stairs, but as the nurses were so eager for her visit she decided to try. By the fifth floor, Corrie’s heart was pounding, her breath coming in gulps, her legs buckling. She collapsed in a chair on the landing thinking she could go no further, and she complained bitterly to the Lord. 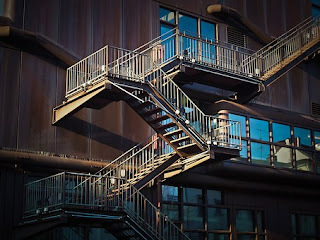 Looking upward, the stairs seemed to ascend to infinity, and Corrie wondered if she might die en route. “Perhaps I am leaving earth to go to heaven,” she thought. But the Lord seemed to whisper that a special blessing awaited her on the tenth floor, so she bravely pressed on, one nurse in front of her and another following. That day both prayed for Christ to enter their lives. ✞ We all need to come to the knowledge that it’s doing the will of God that matures us.